You know perfectly if to pay or not an all-in on the turn, you calculate the cards that are worth you, multiply that number of cards by two and that is the percentage of times that one of your cards will come out. Compare with the chips that you will win with your bet and if you rent you pay and if not, you throw away. We can do the same on the flop, the only thing we have to change is the multiplier. Since there are two cards that have to leave, you have to multiply by double, by four. In the previous article you learned that each card has, approximately, a 2% chance to appear on the river. It is not very complicated to deduce that on the turn the possibilities are the same. Actually the difference is 2.17% on the river and 2.13% on the turn, but you can round 2%. To calculate the chances of a card coming out on the turn or river, you arrive at an approximate result adding the possibility of it coming out on the turn and the possibility of it coming out on the river, which would give you 4%. By this, you can multiply by four the cards that would be worth you in the flop to win the hand and you would have the percentage of times that one of those cards will come out on the turn or on the river. In your hands you have A? K? and on the flop 7? 6? 2 ?. Clearly, if a trefoil comes out on the turn or on the river you can consider yourself the winner of the hand. As you learned in the first article of this series, there are nine clubs that could be on the turn or on the river. Using the rule of four you get 36% (9 clubs x 4) of chances that your color will be completed. 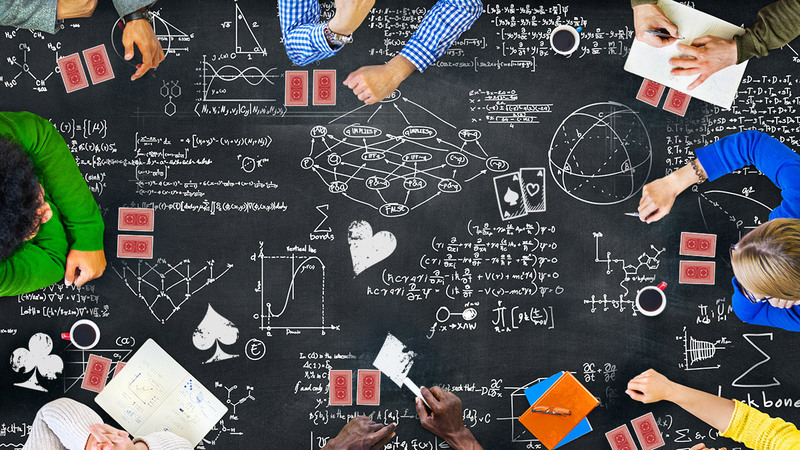 Now, you simply have to calculate the pot odds and see if it is profitable to pay or not with this hand the bet that the opponent makes. To make the calculations easier, 36% of the chances of taking the boat can be adjusted to 33%. This 33% means that you have a third of options to take the pot. If you express it as odds, you know that you have a chance in favor of taking the pot and two possibilities against it. This is expressed as 1 to 2. As you can see, on the flop you can pay bigger bets with positive expectations, but you can not forget that they have to be all-in bets. You have to be sure that there will not be any more bets, and the only way to do it is if you or your opponent are all-in. If there was the possibility of betting on the turn, you would make a very big mistake since you are calculating that two cards are going to come out, when in fact the turn card comes out and the same you have to face another bet. The rule of four is only appropriate when the bet on the flop is all-in and there are no players who can make more bets. If there is an all-in on the flop, and you have a project, count the cards that make you win, multiply that value by four and the result of that multiplication is the percentage of times your project is going to complete and you will win to carry the boat. Compare that percentage of times you will win the hand with the relationship between the pot you can win and the bet you have to make. If the pot odds are better than the odds you have of winning the hand, you pay the bet; Otherwise, you throw yourself away. Do not forget, although it seems reiterative, that this rule is only valid when there will be no bets on the turn and on the river.